Located near the base of the majestic Mt. Tamalpais is the quaint Marin County enclave of Corte Madera. With an impeccable view of Mt. 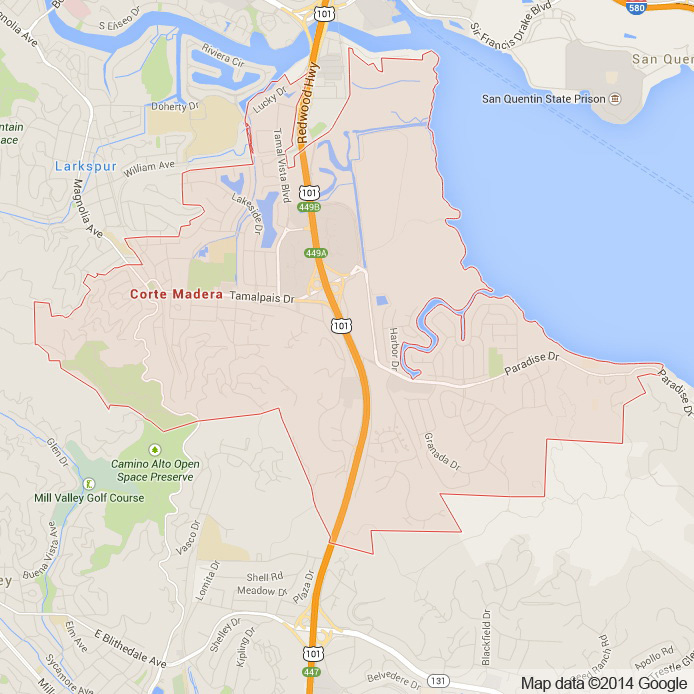 Tamalpais Corte Madera is as naturally stunning as it is culturally alive Bay Area community. With a close knit downtown area only a stones throw away from some of the most beautiful vistas and outlooks in the western United States on Mt. Tamalpais Corte Madera is a must visit destination for those who want to experience the natural beauty as well as the peace and quiet of this smaller Bay Area town. Corte Madera literally translates to “to chop the wood”. As San Francisco was being constructed, what is now called Corte Madera provided most of the redwood. 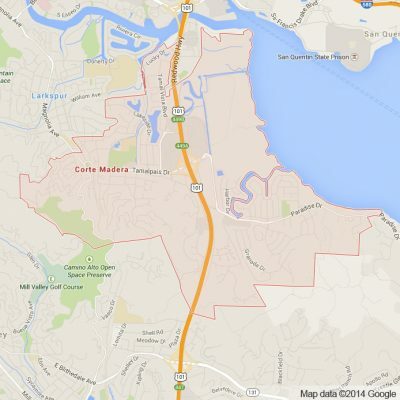 This is testament to Corte Madera’s integral relationship to the Bay Area as well as the diverse and beautiful wildlife that surrounds the town. The Old Corte Madera Town Square keeps the history of this town living in the edifices of buildings. A number of older buildings give Corte Madera an old town feel as unique as it is charming. The incredible restaurants available bring this old town charm alive with exquisite choices for any wine and food lover. With such a close proximity to the wild and authentic beauty of the undeveloped corners of Marin county and the West Coast’s most gorgeous city San Francisco, Corte Madera really is a must visit for anyone looking to really see what the Bay Area is made of. Here at Apex limousine and sedan transportation we pride ourselves on being able to offer comprehensive luxury limo transportation services to, from and within Corte Madera. It should come as no surprise that Corte Madera is a popular Bay Area wedding destination. Our comprehensive wedding limousine services will compliment your wedding no matter what the size or scope. For those Corte Madera residents in need of a prompt pick up or drop off at one of the Bay Area’s major airports, SFO/OAK/SJC Apex limousine and sedan transportation promises nothing but professionalism and timeliness every single time. While we offer our limo services to those interested in exploring all that Corte Madera has to offer we also have special limousine and sedan transportation services for those who live in Corte Madera. Apex’s Napa Valley Wine Tours are the perfect option for people interested in exploring the wineries of the Napa Valley. We are consistently rated one of the best luxury limousine transportation services offering Napa Valley Wine Tours. We are able to make the journey from Corte Madera to Napa and back in one day giving your party a memorable adventure. Join us at Apex and we will make your wildest luxurious dreams come alive, every single time. Please call us for car service all inclusive total for Corte Madera to/from Napa Valley transfer.